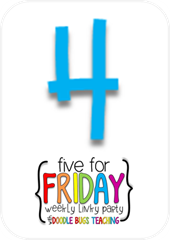 I am soooo glad that Friday is here. It was a long week of Open Houses (mine and my son's) cub scouts- there was something every night. I'm downright exhausted. 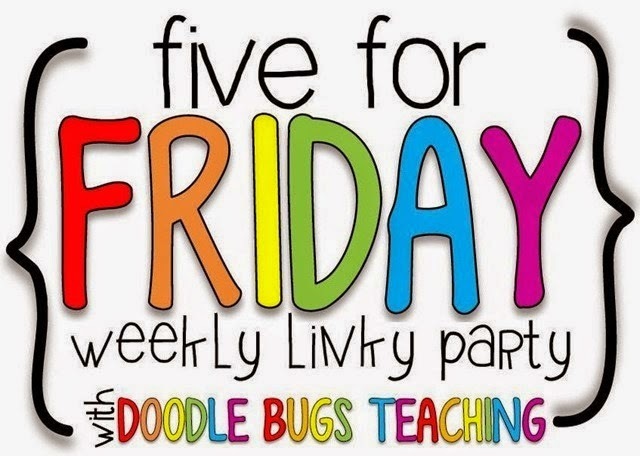 But...since it's Friday, I'm linking up with Doodlebugs Teaching for another Five for Friday. 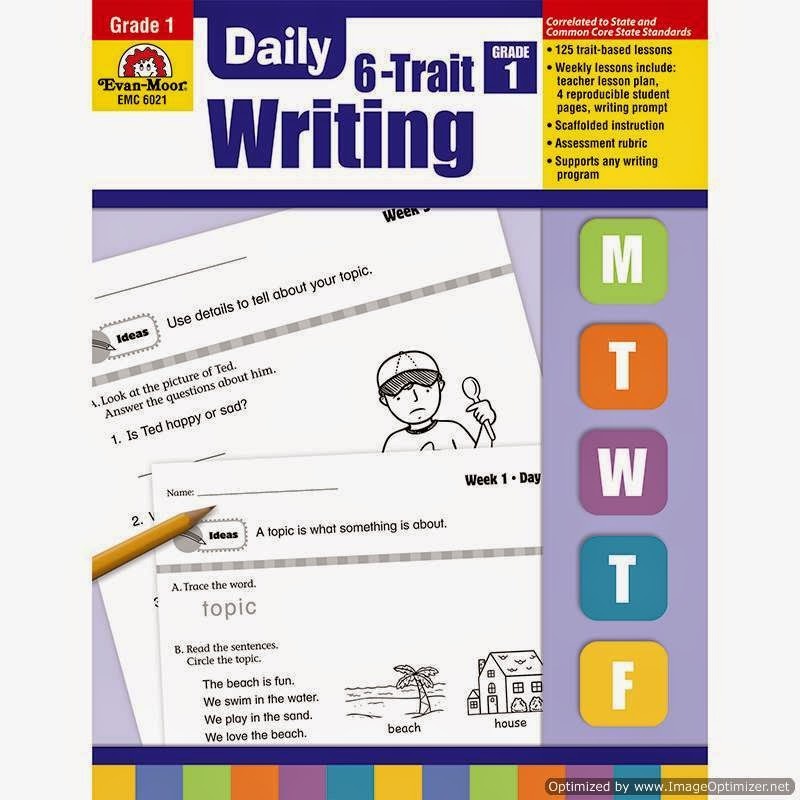 We are still working on the idea trait (6 traits of writing) and the implementation of writer's workshop. We have stalled a bit on the "What to do when I'm done" component of writer's workshop as we learn to not only build stamina for reading, but for writing as well. I use this book for a few lessons on each trait once I introduce them. 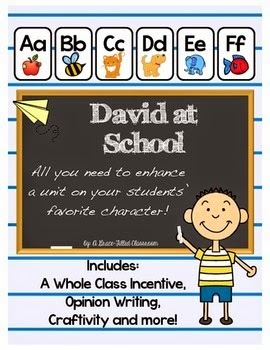 They are short mini lessons that really explore each of the six writing traits. For example, since I am beginning with the idea trait, one of the lessons we did this week from the book was to choose one of 3 writing topics and write a sentence about each topic. Sometimes, I still give my students a topic to write about such as the example above. 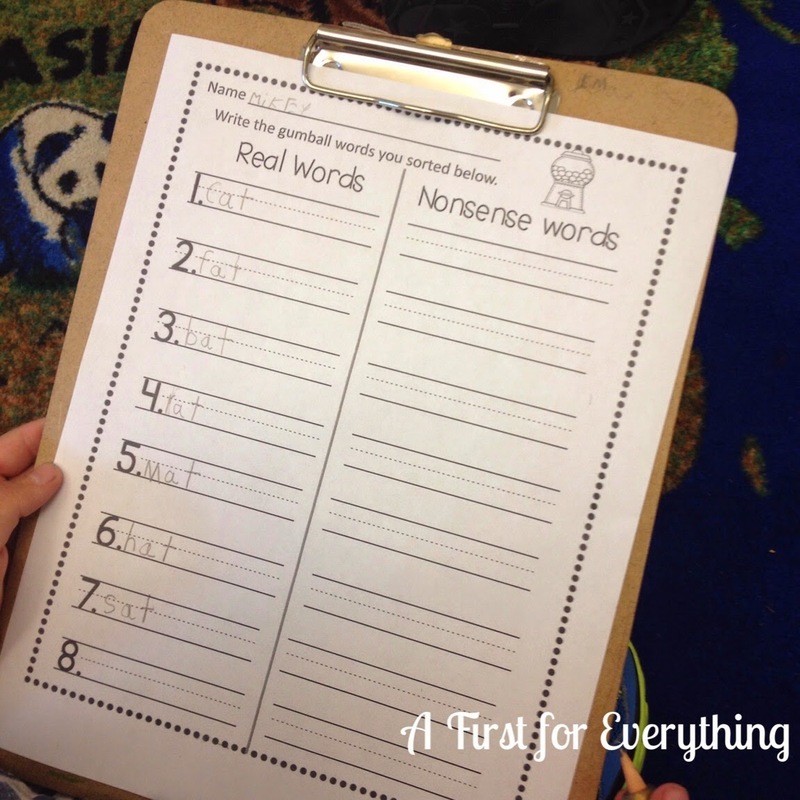 This week, we learned how to use the words first, next, and last after we have chosen a topic, to organize our writing. 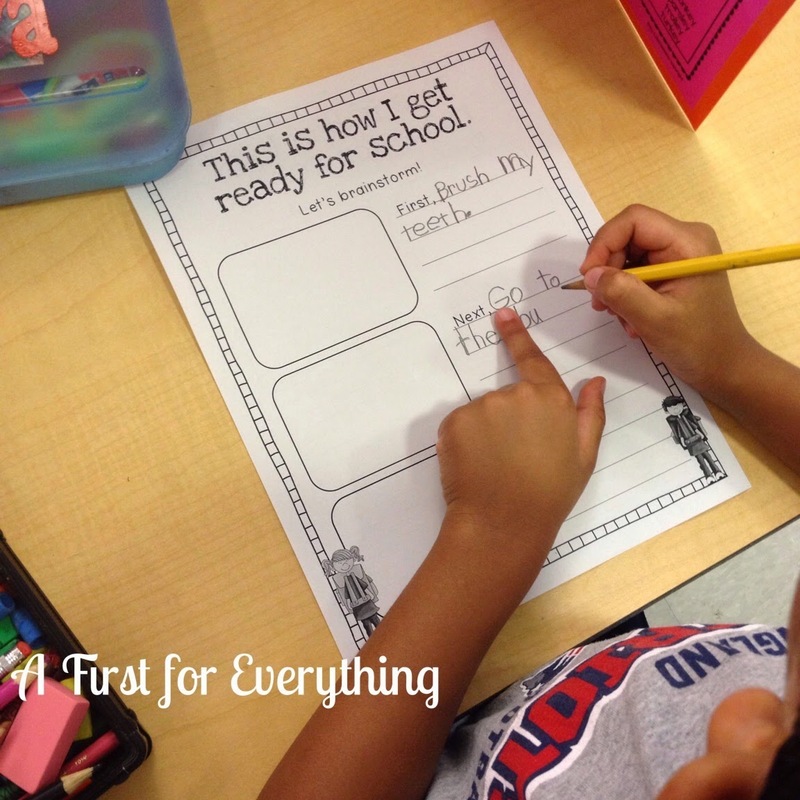 We wrote about how we get ready for school. 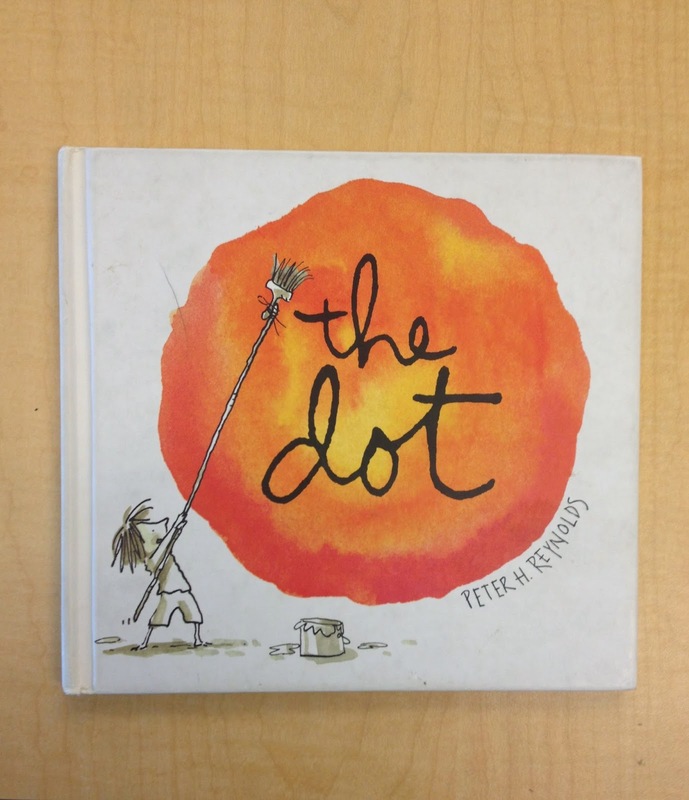 Each year we celebrate "Dot Day" in my school appropriately named after the book by Peter Reynolds. If you have never read it, it is magnificent and I love the message it sends to kids. Never give up. I gave each student a piece of writing paper with a sticky dot on it. They created something out of the dot and wrote about it. 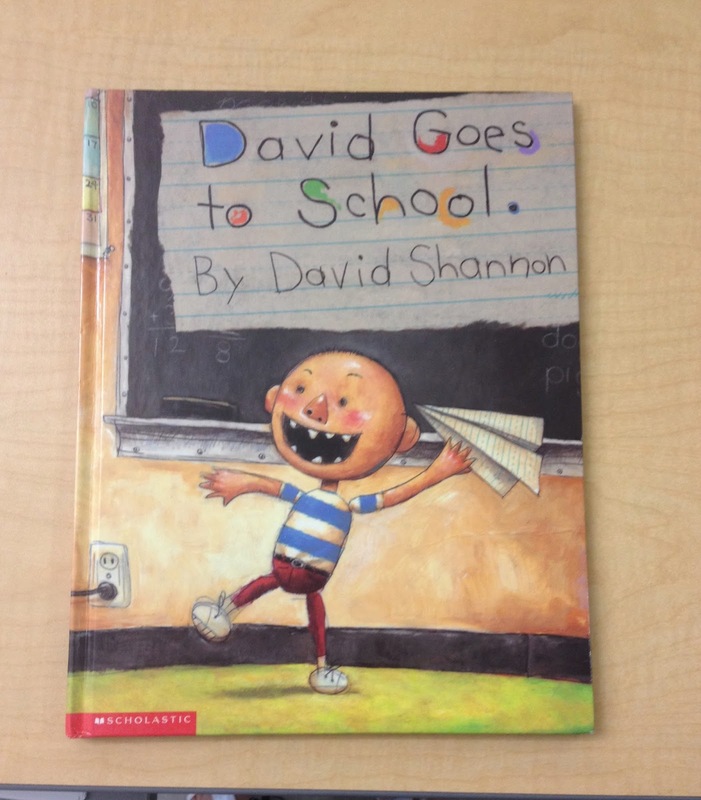 Kids love the book David Goes to School. When I saw that A Grace Filled Classroom had a product to coordinate with the book that also reinforces our classroom rules I just had to have it! It is awesome, ya'll! 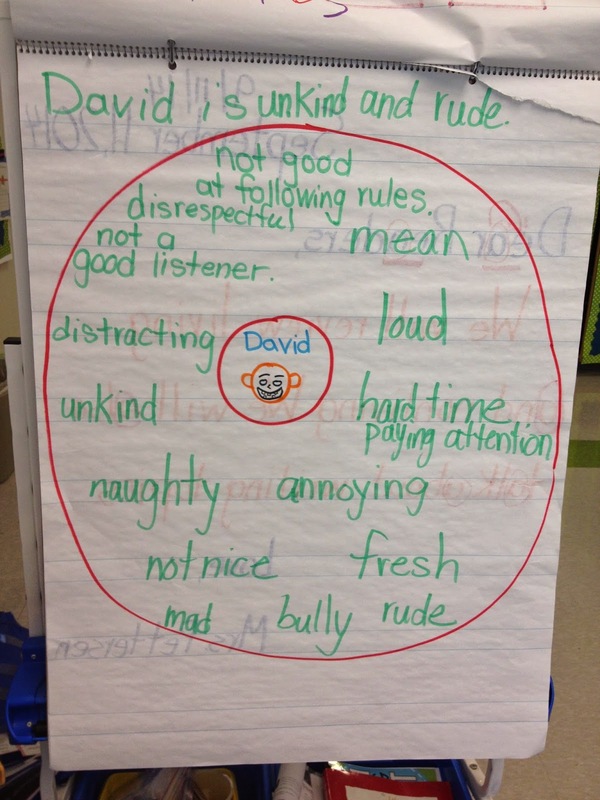 After reading the book we made a character map of David. 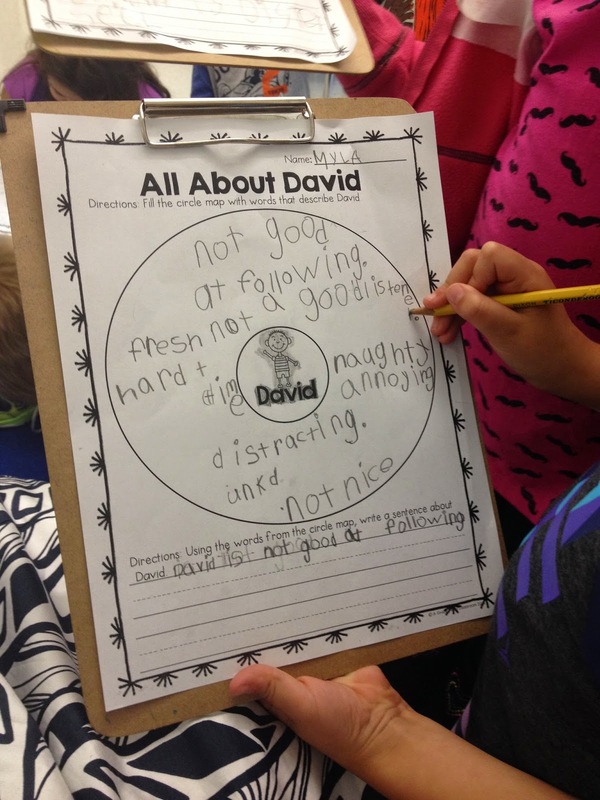 Students used their clipboards to write their thoughts on David's personality on their own character map. 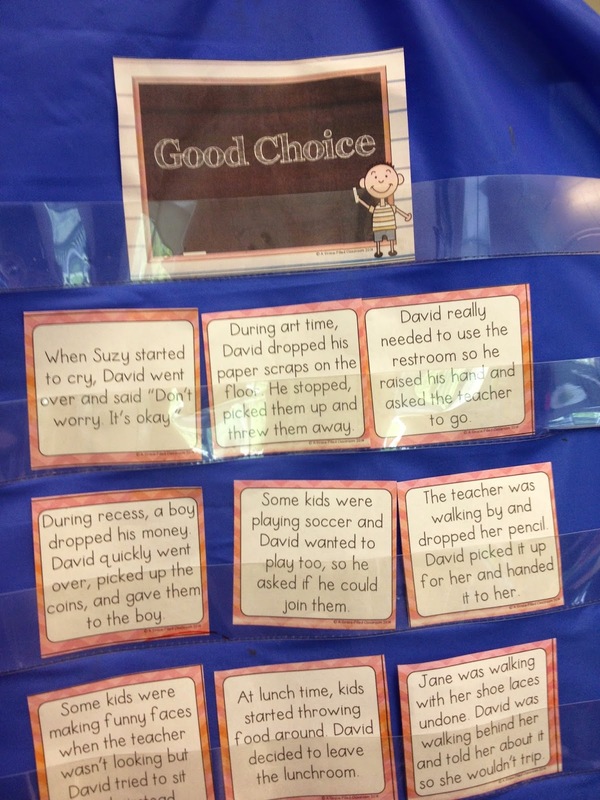 We also used the sorting cards in A Grace Filled Classroom's product to talk about whether David was making a good choice or a poor choice in each example. 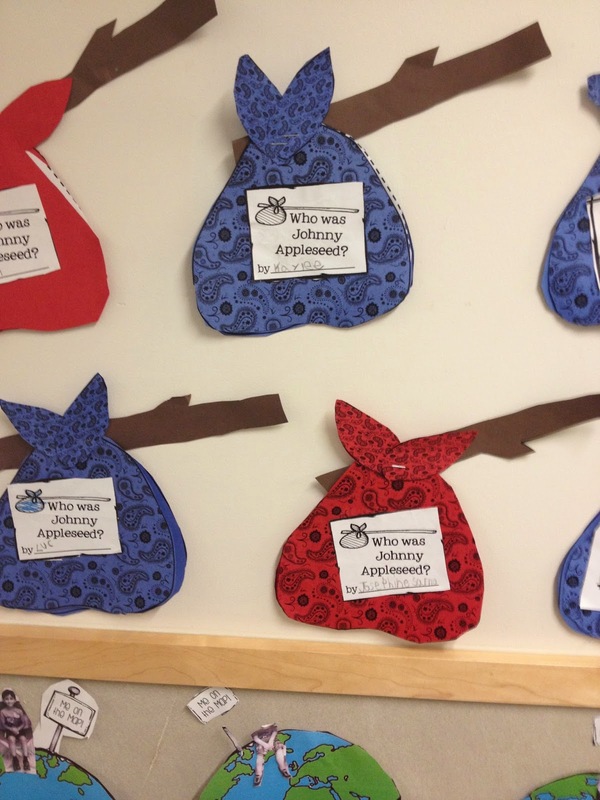 I love how this teaches accountability and responsibility in a fun way. It really helped to review some really important social skills! It came with an adorable craftivity that I haven't made with my kiddos yet but it is on the agenda as we continue to review and practice good citizenship. I love using my SMARTboard for math! 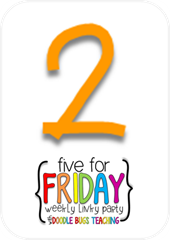 I am lucky enough to have found every Everyday Math lesson online for the SMARTboard and I use it every day! 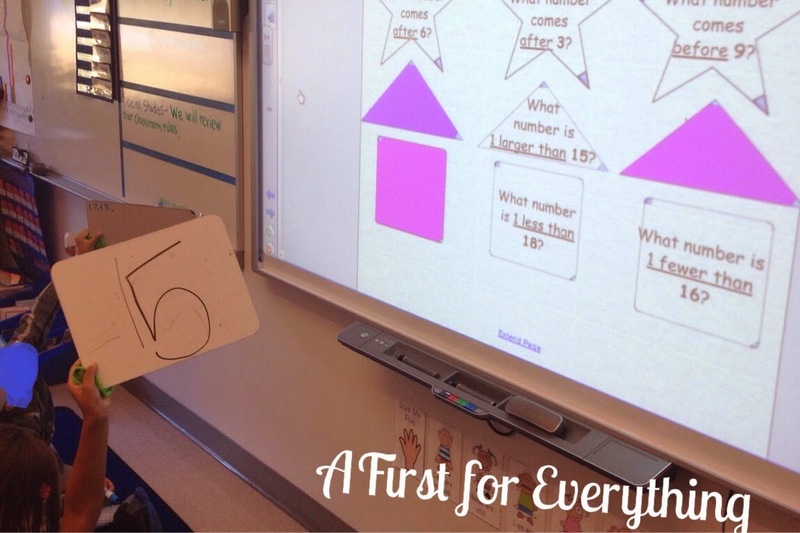 This week we are learning to compare numbers and the kiddos are using slates (wipe-off boards) to check in. These number lines from Really Good Stuff come in so handy at the beginning of the year for practice using a number line. 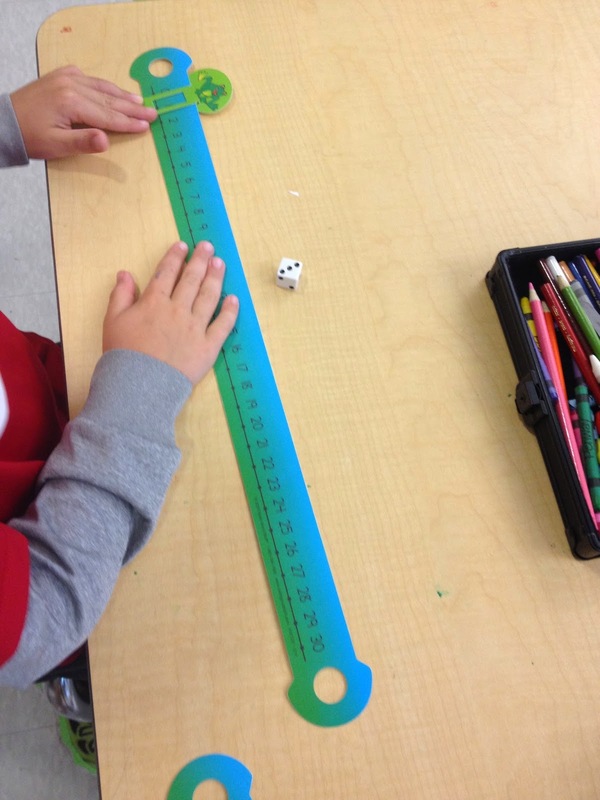 In the above picture, we played with a partner and rolled the dice. The first player to make it to 20 and back to 0 was the winner. They loved this! 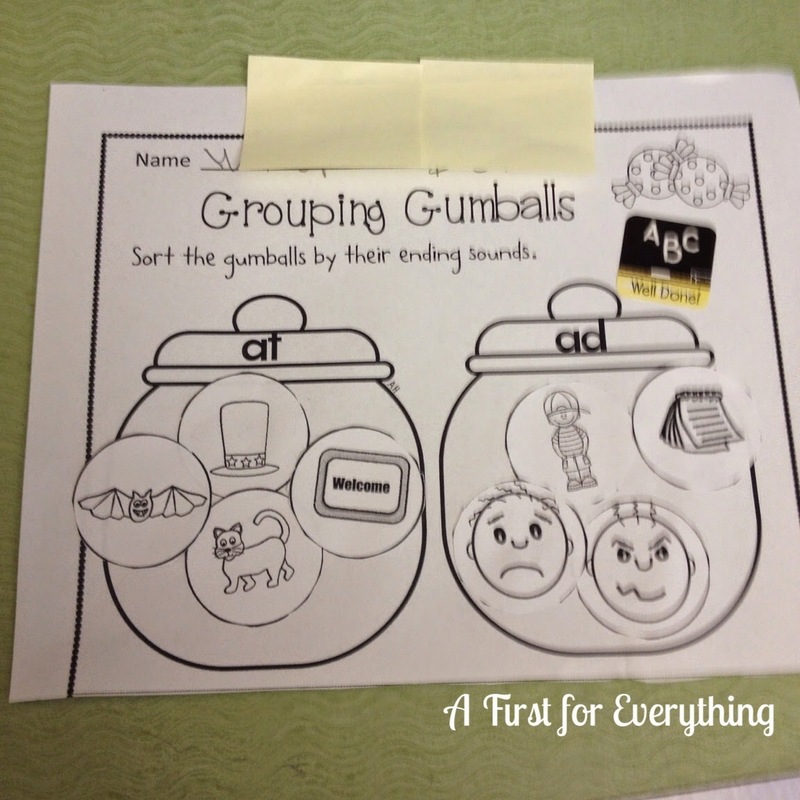 We are also continuing to focus on short vowel sounds. We used more of my Sweet on CVC words- short A product to practice and review the sound of short a in the -at word family. 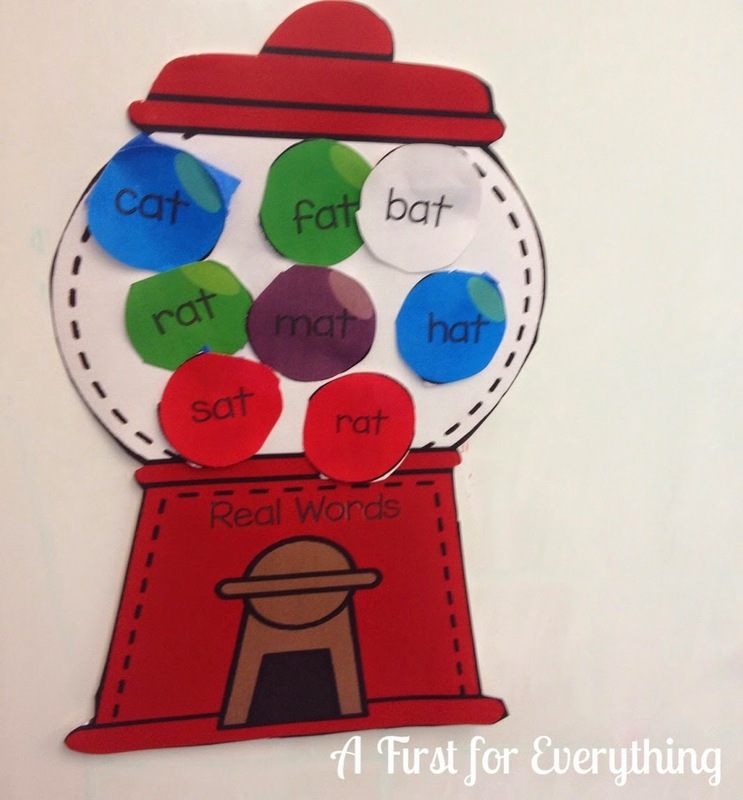 We sorted "gumballs" by real -at word and nonsense -at words. 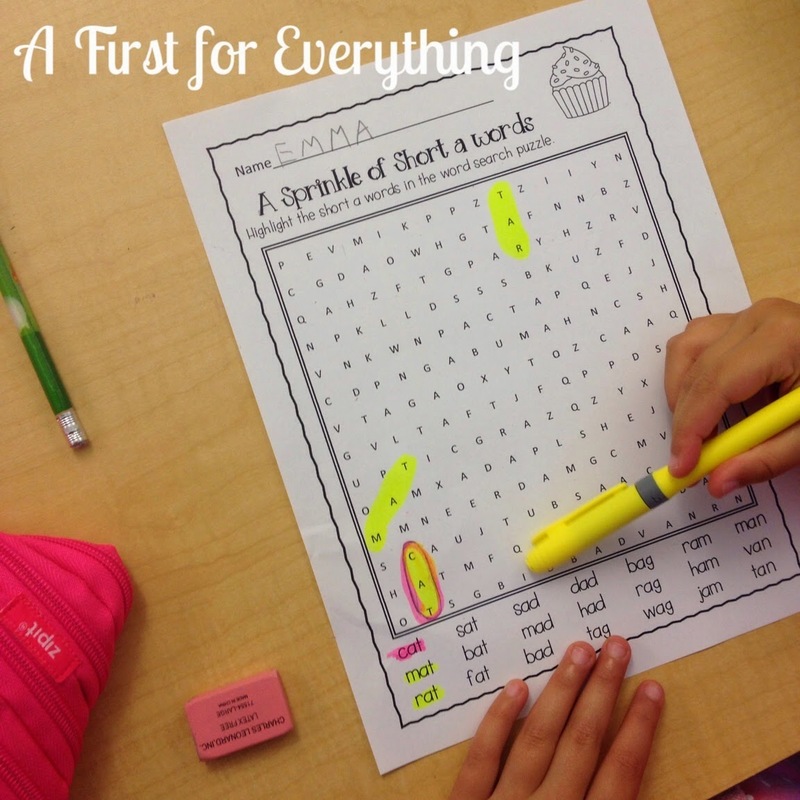 We loved using highlighters to find -at words in a word search. Our morning work this week also involved short a. 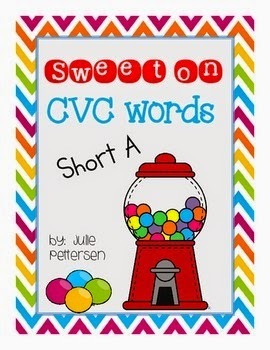 All of these short A activities are available in my Sweet on CVC words- Short A product. I'd love to know where you found the EDM activities for the smart board. Can you please share? If the link doesn't work for some reason, try googling Jennifer Larsen EDM smartboard, first grade. Thanks so much for the link. I will check it out! 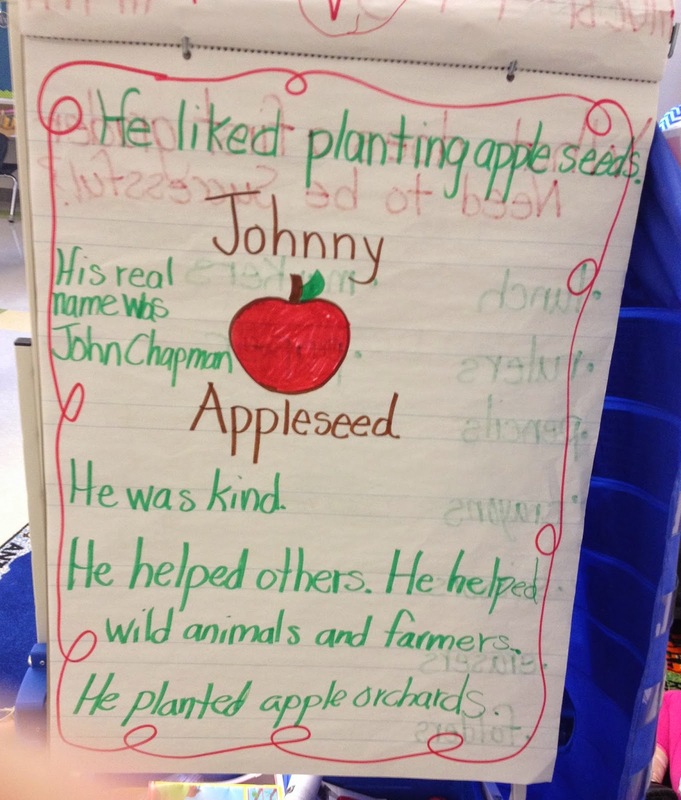 I love the Johnny Appleseed knapsacks! 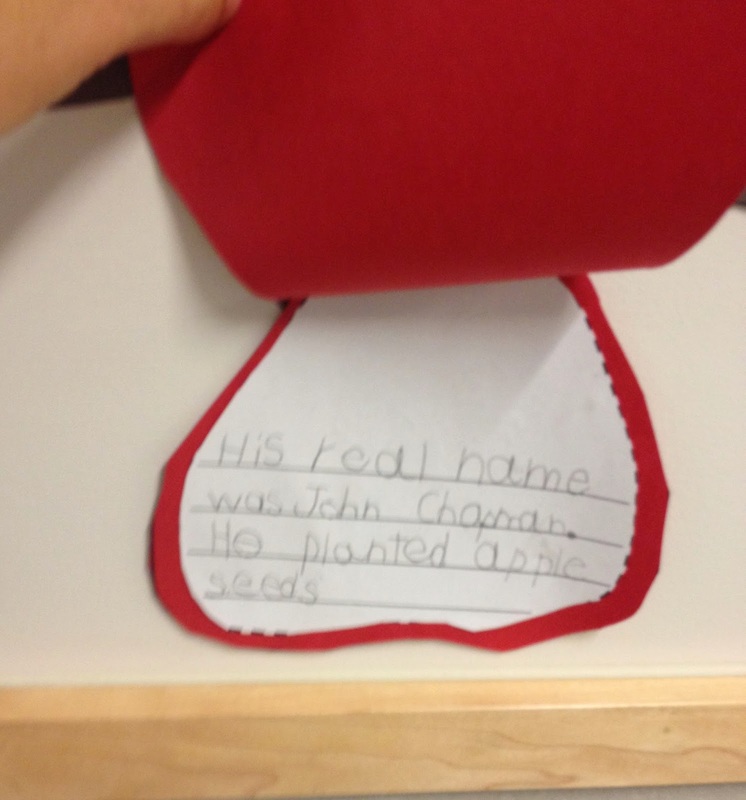 What a great writing activity. Thank you so much. 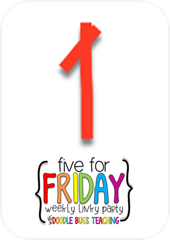 Isn't this exciting- checking out blogs on a Friday night :). I'm doing the exact same thing right now. Thanks for stopping by! Have a great weekend! How do you feel about the Daily Writing? I'd love to know before purchasing it or something similar. I use a mix between a few different things right now and am not completely in love with teaching writing at the moment. Thanks! Hi Noelle, the daily writing book is o.k. I guess it depend what you want out of it. If you really want to teach the traits, this is a good book for that. However, there are lessons that are really nitty gritty and almost hokey (if that make sense). It's definitely not a stand alone writing curriculum. I do like however how it reinforces each trait. I pick out a few pages on each trait which become mini lessons. Hope this helps. Hey Julie! 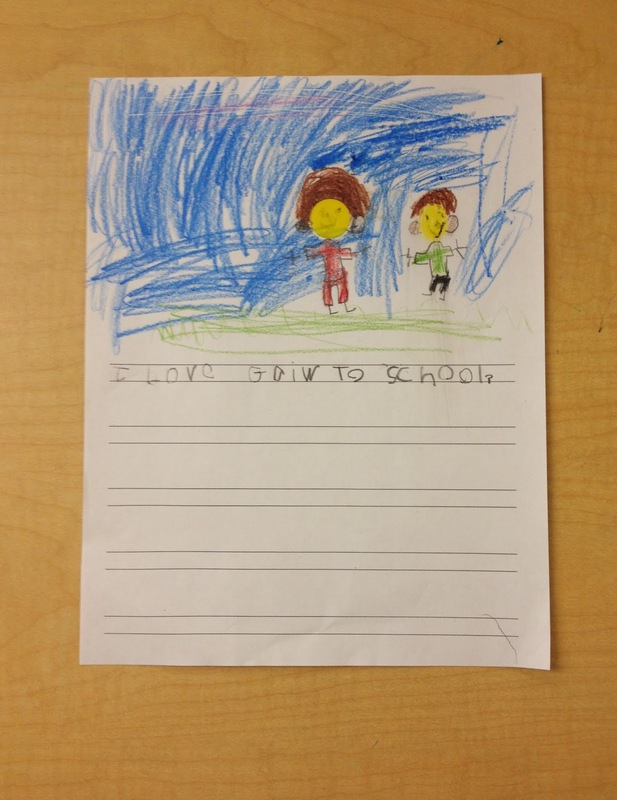 Thanks for the shout out with my David at School materials! 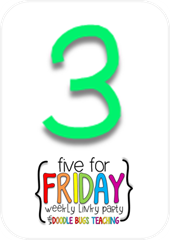 I had so much fun creating it because I knew my kiddos would love it! The circle map looks great! 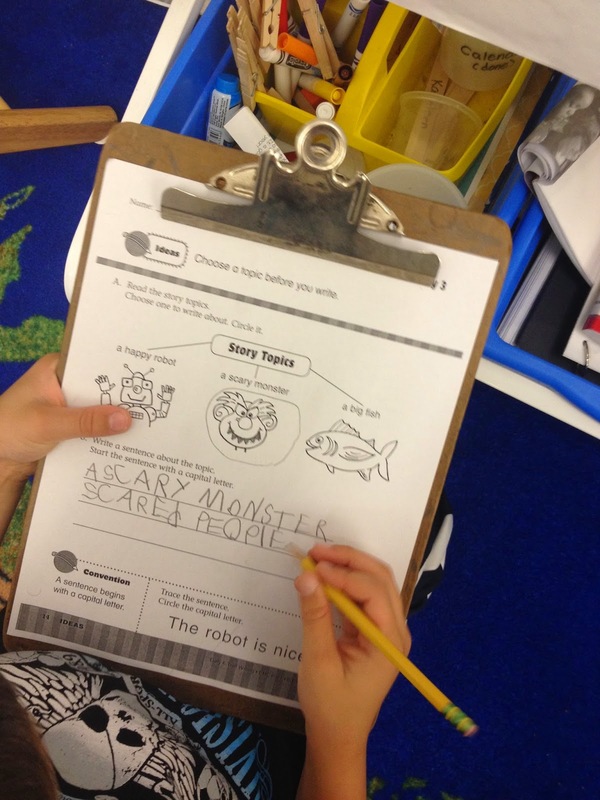 Your kiddos came up with great ideas. 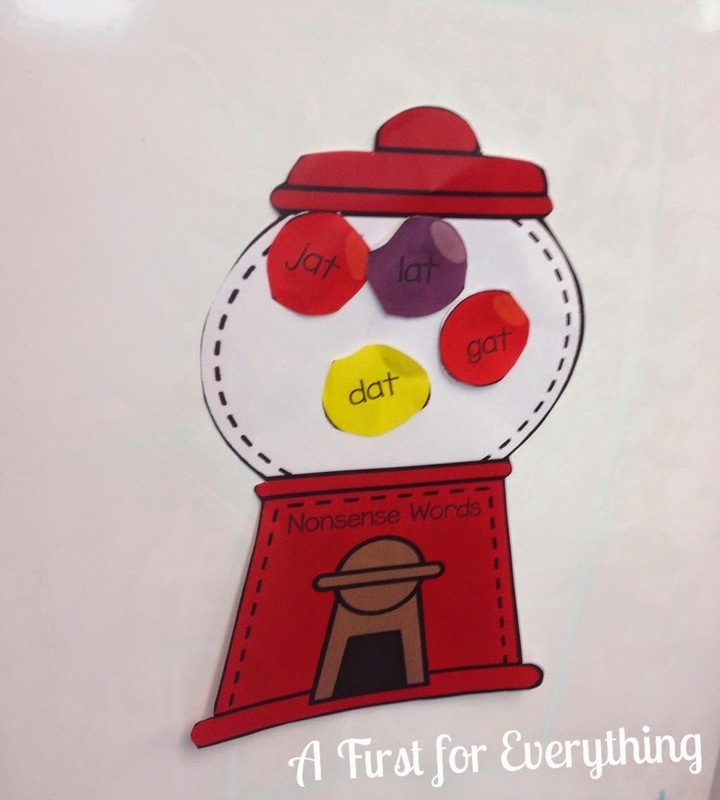 I also love the gum ball words and the sorting gum ball machines…so clever. I bet the kids really had fun with that.